. 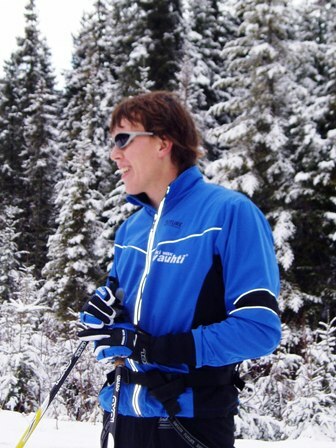 : Learning to Train :: Ski XCOttawa.ca :: Skiing in Ottawa and Gatineau Park :. Good skiers may be born with a great deal of natural athletic ability but it takes years of training to tap into that talent. I don’t profess to be a gifted athlete but I feel that over the past few years I have learned a number of things, mainly through mistakes, about what it means to train and how to train effectively. Coming relatively late to skiing (I began club skiing when I was 18), it took me a while to catch onto the fact that being an athlete meant that you had to train year round. In actuality my first year round training season probably didn’t happen until 3rd year of university, by that time I was 21. Now I don’t mean to say that come the end of ski season I devoted my time to McDonalds and the movie network. I did remain involved in a number of recreational sports and spent a lot of time outside having fun as well as attempting the odd ‘training’ session. However not looking at a program more than once a month resulted in sporadic and unusual training. If I ran it would generally involve a grueling set of intervals jammed into a very long run. And since I worked at night I would be sure to get out of bed late so I could run during the hottest part of the day. If I decided my pecs were looking a little flat and needed some bulk I would ‘pump the iron’ until I thought I was going to puke. This served to effectively smother my enthusiasm for weight training and limit those workouts to once a week. This approach to training was not a lot of fun and proved to myself that I was not focused enough to follow a training program. 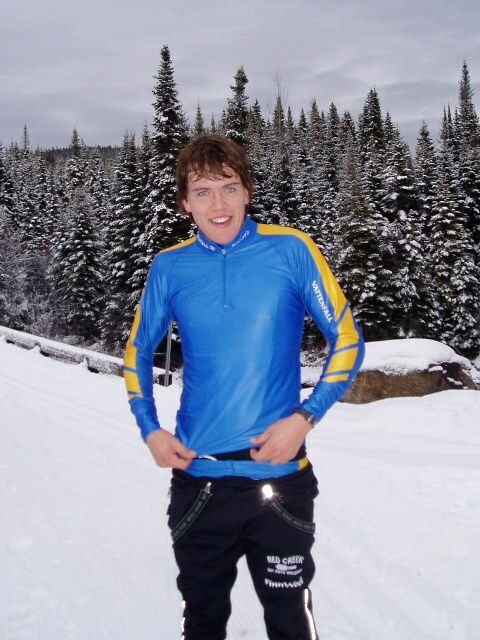 Luckily I would return to University skiing every fall, out of shape, fall back into a more structured program, gain a modicum of fitness and achieve modest improvement in my results. Eventually common sense and my desire to continue to improve drove me to commit to a summer long ski program. Realizing dedication was a necessary part of success allowed me to finally enjoy training. I realized that my masochistic, feast or famine style of training was no longer going to produce positive results. I eventually reached a point where I needed to train intelligently and regularly if I wanted to become faster. At first it was difficult to make training a priority but I found that more and more often I would structure a weeks recreation around the training goals I had set out. My earlier experiments in training also provided some important lessons for this new ‘mature’ approach. I found that while I undertook far more available training sessions to achieve my goals I did not allow it to distract from the quality of the current workout. I always felt that it was important to work as hard as I felt was possible (within the appropriate heart rate zone) during a workout. This meant listening to my gut and not doing workouts to which my mind and body were not totally committed. At times this approach meant that I would not achieve my ‘hour goals’ for a week, but more often it meant I did achieve my fitness goals. It meant I was injured less and maintained my enthusiasm for training. Since then training has become a year round part of my routine and is generally more of a pleasure than a chore. Even on those less than perfect days when it’s tough to take that first step I am always glad I did. I guess the moral is that generally training does not come naturally but with some perseverance and a competitive spirit it will become an increasingly natural part of life. As well I’ve found that intelligent athletes that have fun with their sport do not become slaves to a program. If you are exhausted before you start or if a workout is going to exacerbate an injury or cause you a ridiculous amount of stress, don’t do it. If you regret the time you are training then the time is wasted. A good training program is designed to achieve a yearly goal. Some deviation from the plan will not negatively impact fitness and will keep you more enthusiastic and happier, which in the long run is far more important. The recent training camp at Foret Montmorency with XC Ottawa incorporated all of these hard learned training lessons. We committed the first two days to large volumes of relaxed skiing as well as adequate rest to allow ourselves to adjust to our first on snow sessions of the season. While we worked hard during the first two days we saved enough energy and enthusiasm to ski a tough time trial on the third day. Or in the case of Tom and Gavin, a sprint relay. Our final hard workout on the fourth day consisted of deadly long hill intervals. We took the time during the workout to evaluate how we felt during and after each interval to determine if we would continue. This sort of self analysis meant we were committed to each interval and performed it to the maximum benefit and not our detriment. After four days of hard training and a first taste of snow it’s nice to have a day of rest and I’m looking forward to the start of another race season. Brian after a very good time trial effort. Team XCOttawa.ca taking a minute after a sprint session to enjoy the scenery.